The Fate Of Daniel Bryan: Triumph Or Tragedy? 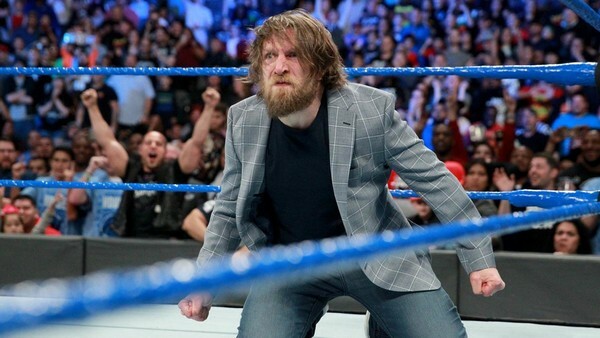 Universal excitement gripped the wrestling fanbase when Daniel Bryan announced (somewhat out of the blue) that he'd been cleared to wrestle for WWE two years after the company ostensibly closed the shutters on his in-ring career. It was unthinkably bad news in 2016 with a wonderfully pleasing twist two years later. Pro wrestling has diluted its own ability to surprise in recent years, with even this news revealed on Twitter in order to drive a huge audience towards his SmackDown Live! confirmation later that night. 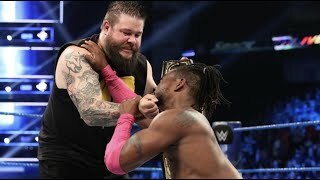 The beatdown he suffered at the hands of Kevin Owens and Sami Zayn was as breathtaking to watch as the original news was to hear. His fire in furious fightbacks against the pair was beyond exhilarating for those that had pined for his return. A snap German suplex and the segment-ending powerbomb on the apron were the necessary visuals to prove that this was the real deal. Bryan was 'All In' with WWE, rather than sitting out his contract to look elsewhere and wrestle under a cloud of uncertainty. There were those (your writer included) that espoused concern upon hearing the news. Cautious optimism was one thing, but celebration of his return seemed to overlook some of wrestling's past horrors. The comparison points were all-too-close to home as well. The brutal toll the industry takes on a performer's wellness is such that WWE were forced to create an entire new drugs/fitness/public relations test around the very concept. Bryan's most recent chapter has perhaps been the best ever advert for it - a man completely written off was forced to rehabilitate from the sidelines and miraculously, did just that.